Capt. 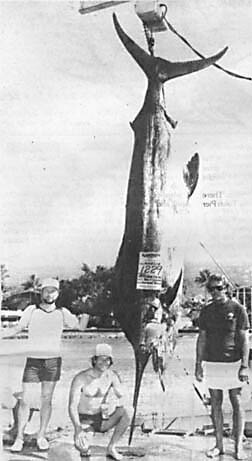 Jack Prettyman of the SUMMER RAIN found this fish for angler Richard Hartom outside of Kona. The big billfish crashed a lure and fought for only 1 hour.